French global video game developer and publisher Ubisoft is gearing up for the upcoming release of its Assassin’s Creed 4: Black Flag and Ashraf Ismail, the game director confirmed that time spent in the modern day portion of the game can last anywhere from 25 minutes to 5 hours. 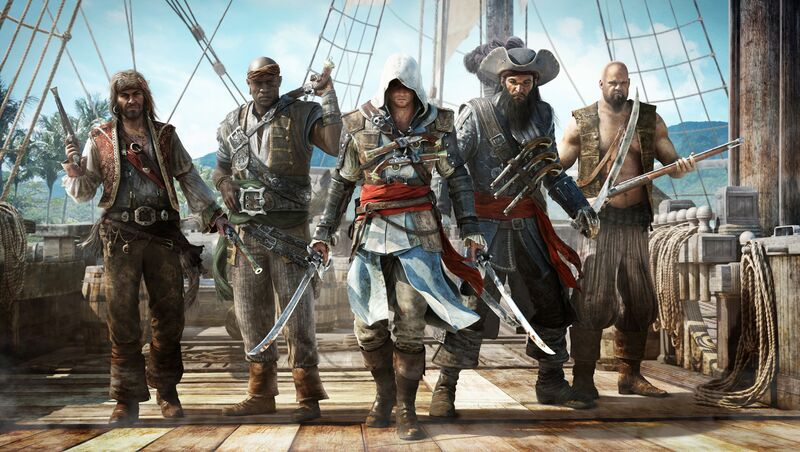 In a post on the company’s blog, Ismail stated that gamers will need to play at least 25 minutes in order to advance the Assassin’s Creed 4: Black Flag’s story. He wrote, “For the main path – the stuff you’re required to do – it’s somewhere between 20 and 25 minutes. You leave the Animus five times during the game’s main path and each time you’re there for about three to four minutes. It’s there to progress the story because there’s this meta story that we’re telling.” This is, of course, only the beginning, as Ismail went on to explain that there are plenty of things to discover for those Assassin’s Creed fans who want to continue exploring further. He also stated that the new content will enable players to see what happened to Desmond after Assassin’s Creed 3 and that there are many things connected to him, which they will come across. In addition to that, players will witness everything that happened after the previous game, as well as the consequences. Ubisoft is set to release Assassin’s Creed 4: Black Flag in the UK on November 1, 2013 for Xbox 360 and PS3 and on November 22, 2013 for Xbox One, PS4, Wii U and PC. The game will be launched in the US on October 29, 2013 for Xbox 360, PS3 and Wii U, on November 15, 2013 for PS4 and on November 29, 2013 for PC. Next articleXbox One to support third-party keyboard and mouse peripherals?